Can Big Oil "win ugly" in its "Endless War" on Climate Activists? Can Big Oil “win ugly” in its “Endless War” on Climate Activists? Question: Is that statement about the latest Intergovernmental Panel on Climate Change (IPCC) report from Greenpeace or the U.S. State Department? The fact that Kerry must appeal to the fossil fuel industry’s sense of morality rather than tough regulations on CO2 emissions makes plain the industry’s naked power in the U.S. political system. Answer: It’s by John Kerry, U.S. secretary of state, the second most powerful official in the Barack Obama administration. Important officials in many other countries have made similar statements about the IPCC Synthesis Report released Nov. 2 in Copenhagen. Canada’s Stephen Harper government remains in denial and has been silent. “The longer we are stuck in a debate over ideology and politics, the more the costs of inaction grow and grow,”said Kerry in a statement. The IPCC Synthesis Report distills seven years of climate research by thousands of the world’s best scientists and concludes that climate change is well underway, producing costly and tragic extreme weather events. These will grow worse than anyone can imagine unless humanity weans itself off fossil fuels. For decades humanity has pumped hundreds of millions of tonnes of carbon dioxide (CO2) into the atmosphere from burning fossil fuels —coal, oil and natural gas. Measurements show there is now 42 percent more CO2 in the atmosphere than 100 years ago. It is long-established science that CO2 acts as blanket, keeping the planet warm by trapping some of the sun’s heat. Each year our emissions of CO2 is making that blanket thicker, trapping more heat. That fossil-fuel CO2 blanket has raised global temperatures 0.85C. It would far hotter if not for the oceans absorbing 95 percent of the extra heat trapped by the blanket. But the oceans won’t help us for much longer. 2014 will be the warmest year on record. “Urgent action is needed to cut global greenhouse gas emissions,”said Michel Jarraud, Secretary General of the World Meteorological Organization. “The longer we wait, the more expensive and difficult it will be to adapt –to the point where some impacts will be irreversible and impossible to cope with,” Jarraud said in a comment about the Synthesis Report. There is nothing fundamentally new in this latest IPCC document. All that’s really changed is the urgency and desperation in the language climate scientists now use. Everyone knows by now that fossil fuels have to be phased out and replaced by energy sources that don’t add more CO2 to the stifling blanket we’ve woven. And we already know how to make the low-carbon transition because it is “hardly rocket science,” said Bob Watson, former chair of the IPCC. To reiterate the steps: big increases in energy efficiency, massive roll outs of renewable energy, shutting down most coal plants, a carbon price, etc. There are dozens of studies on how to do this with no new technology. All of this can be achieved with very little extra cost to the global economy, according to The Global Commission on the Economy and Climate. These studies end up concluding that what’s missing in a shift to low-carbon living is political will or political courage. Left unsaid is the incredibly powerful and influential fossil fuel industry, their bankers, investors, lawyers, public relations consultants, unions and others all fighting desperately to keep humanity addicted to their products. That means opposing low-carbon alternatives and branding grandparents who worry about their grandchildren’s future as “green radicals”. “Think of this as an endless war,”public relations consultant Richard Berman told oil and gas industry executives last June in Colorado. It’s a dirty war against environmental organisations and their supporters. Industry executives must be willing to exploit emotions like fear, greed and anger of the public against green groups and individuals, Berman said, according a recent New York Times article. A tobacco industry PR specialist, Berman was speaking at an event sponsored by the Western Energy Alliance, a group whose members include Devon Energy, Halliburton and Anadarko Petroleum. The speech was secretly recorded by an energy industry executive offended by the tactics. Berman advised major energy corporations secretly financing anti-environmental campaigns not to worry about offending the general public because “you can either win ugly or lose pretty,” he said. ‘Big Green Radicals’ is Berman and Co.’s latest multi-million-dollar campaign and it targets groups like the Sierra Club and the Natural Resources Defense Council. It has also aggressively attacked groups opposing fracking and lobbies to prevent stricter controls over the process that pollutes both air and water. Berman is hardly alone in his efforts. The fossil fuel industry spends hundreds of millions of dollars each year on PR, advertising and lobbying in the U.S., Canada, Australia and elsewhere. 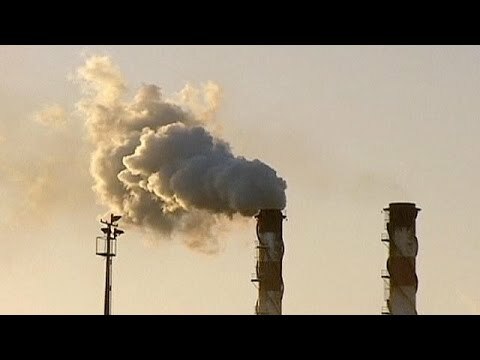 “Those who choose to ignore or dispute the science so clearly laid out in this report do so at great risk for all of us and for our kids and grandkids,” Secretary Kerry said to conclude his statement on IPCC Synthesis Report. In Copenhagen on Sunday, U.N. Secretary-General Ban Ki-moon was able to say what Kerry couldn’t and urged big investors such as pension funds and insurance companies to reduce their investments in fossil fuels and invest in renewable energy instead. That’s a start but far more action is needed by everyone who believes that our children and grandchildren have a right to a liveable planet.